This quiet residential area in Burnley offers tenants a peaceful setting to work from. The building was built in 1895 and while it has been completely refurbished it still retains many of the original features. There are nine modern offices and a meeting/training room that can cater for up to 14 people. Transport links are good, with Burnley Manchester Road Railway Station located around 10-minutes' walk away. Various sized office and storage spaces, available on flexible leasing terms. The on-site management team provide a staffed reception with secretarial services, and comprehensive conference and meeting room facilities, which can be fully catered for. These services are also available as part of a virtual office package. 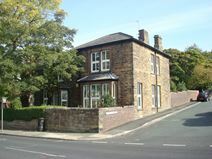 Located close to the M65, within walking distance of Burnley Central rail station. 2 large open-plan offices are available to let in a modern building in Burnley, within easy reach of the network junctions and close to the railway station. The building also consists of kitchen facilities, lift, parking and disabled facilities. These offices are available at flexible rental terms to accommodate your needs. The building is well connected to the town centre and is close to the motorway network and to the railway station. Made up of 122 prestigious office suites and four boardrooms (catering for up to 12 people) this modern and prestigious high-tech building is situated on Liverpool Road with great access to the M6, M1 and M66. A fully renovated nineteenth century mill building offering various size of flexible, modern office space incorporating the latest technology. The building features a staffed reception, meeting and conference rooms, kitchen facilities, and an attractively landscaped courtyard and garden area. These features are also available to anyone purchasing a virtual office package. Located close to Burnley town centre, just off junction 10 of the M65.